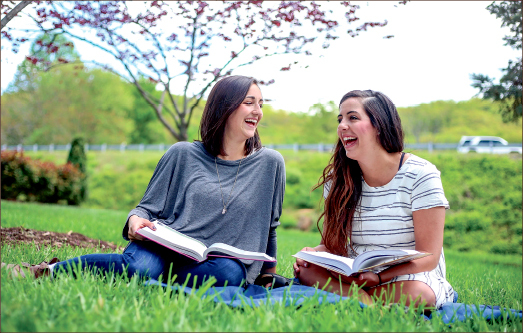 As students head their separate ways and travel away from the Christian community at Liberty for the summer, they can quickly fall into bad habits if they are not actively seeking God. According to Dr. David Wheeler, School of Religion professor, students should remember Matthew 6:33 and seek the kingdom of God before anything else. Emily Woody, life skills coordinator from the Campus Pastors Office, noted that students should identify any sources of temptation at home and be proactive in avoiding people and places that might negatively influence them. Wheeler added that students need to protect their hearts. Wheeler noted that summers away from Liberty are very important times because people change the most in between the ages of 18 and 22. Woody referenced 2 Timothy 2:22, “So flee youthful passions and pursue righteousness, faith, love, and peace, along with those who call on the Lord from a pure heart” (ESV). “Cultivating faith and love for the Lord will help trigger all these other things,” Woody said. Woody emphasized that it is important to flee from temptation and pursue God. Wheeler shared that students must have a plan for the summer. He noted that they often react, when they should first act. According to Wheeler, Christians should read the Bible every day because they need the spiritual nourishment. “Not reading the Bible is like not eating,” Wheeler said. Wheeler added that students should continue their personal habits — if they have good ones now — or start cultivating healthy routines. Wheeler challenged students to set a Bible-reading goal for the summer. He suggested reading through Paul’s writings, Proverbs and the Gospels or Acts. He challenges his classes to read John in the mornings and Proverbs at night. He also suggested keeping a journal when reading the Bible and writing down a verse to carry with you throughout the day. Woody said that a good way to start a daily quiet time is to write down five things for which you are grateful. She noted that having an attitude of thanksgiving combats negative feelings such as anxiety, pride, anger and bitterness. “We are aware some students are going home to a rough life,” Woody said. “But, if they will put effort into striving towards gratitude in the midst of it, they can have such a different experience because it is going to be rough whether they are grateful or not, so they can be bitter in the midst of it, … or they can rise above with gratitude and thanksgiving,” Woody said. “A vibrant Christian walk does not come from coasting or being passive,” Woody said. Without the structure of Convocation, campus church, and prayer groups, the responsibility falls upon the individual student to develop his or her own spiritual walk. Woody said in the summer, there are no longer RAs and people checking up on the students. So, they have to take the responsibility upon themselves to act in a way that is right. She reminded students that every choice they make represents God, their family, Liberty and themselves. Wheeler said that students need to learn to say yes to God during the summer, even when it is hard. Woody and Wheeler shared that there are a wealth of resources available to help students grow spiritually over the summer including watching past Convocations online, plugging into a local church, having accountability partners and finding older Christians who can guide you. “(Students have) to be strong and know where (they) are coming from,” Wheeler said. “(Students have) to have people in their lives that will tell them the hard things,” Wheeler said. Wheeler suggested students pair up and call each other periodically to check up on one another and hold each other accountable. 1. Lifeonmissionbook.com — click on the “Three Circles” tab and download the app that will help guide you through sharing the gospel. 2. Viewthestory.com — download the evangelism app that clearly presents the gospel of Jesus. 3. MyhopewithBillyGraham.org/programs/ — several videos on the site serve as great conversation starters that lead to the gospel. Glossner is a feature reporter.